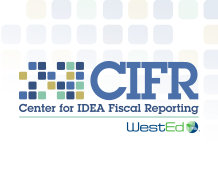 Register for the Quick Introduction to the New Center for IDEA Fiscal Reporting webinar. The Technical Assistance Coordinating Center will host a brief webinar to introduce the Center for IDEA Fiscal Reporting (CIFR), designed to help states meet their federal obligation to collect special education fiscal data. This 15–20 minute webinar will describe the Center’s project teams and services provided to states, and provide an overview of CIFR’s current and upcoming work.